Before we start, I want to warn you because what I’m about to show you might completely flip your world upside down if you’re selling on Amazon. It may in fact shock you and even frustrate you a bit if you’ve been doing things the wrong way so far. The truth is that most . . .
A Quick Introduction My name is Daniel Audunsson and in the last five years or so, I have sourced and sold over 200 physical products with the bulk of them being from China. I have personally been to China over 20 times and run and operate most of my businesses from Hong Kong. I have . . . In this article, I’m going to share the three pillars that the easiest and most profitable private label products on Amazon all have in common. If you pay attention to these three pillars, you’ll know exactly what to look for to identify a product that’s easy and highly profitable for you to sell on Amazon . . . I know this might be a bit of a strange topic to you but even if you’re an experienced seller. But it’s important for you to understand the deeper reasons for why you should sell on Amazon so you stay in tune with the purpose of what you’re doing to stay motivated and connected. . . .
Over the next few weeks, Todd Herman is preparing for the next release of his flagship program The 90 Day Year. During this process, he will be releasing some action-packed content specifically designed to help you get more results. It’s my goal to help you digest this content by doing a full debrief on each . . .
Summary A life-altering event made William completely rethink his current situation, set immediate goals for himself, and get back to into the trend of all around winning in business and sports. William started his own e-commerce business and went from zero to $13,000 per month in his second month selling on Amazon, all while . . .
I’m always blown away by what people are able to accomplish with their online business. Especially when it comes to selling on Amazon. Seeing the amazing success that people have is what makes Daniel and I so motivated to help the students of our Infinity Code program. Folks like Monika and Dan… or someone like John . . . In this article, I’m going to share the five biggest mistakes I’ve made selling private label products on Amazon. If you avoid the mistakes in this article, you’ll achieve success a lot faster and avoid a lot of pain, wasted money, and wasted time. My business partner, Ryan, and I have been selling products on . . . Rating: [yasr_overall_rating] Important March 2018 Crypto Update from Teeka Tiwari… Daniel and I highly recommend that you get registered for the upcoming LIVE emergency broadcast that Teeka is doing at 8 pm ET (current New York time) on the 14th of March by going here now. After all of the success that Daniel and I have . . . In this article, I’m going to reveal 5 steps to becoming a successful Amazon seller by focusing on your conversion rates. 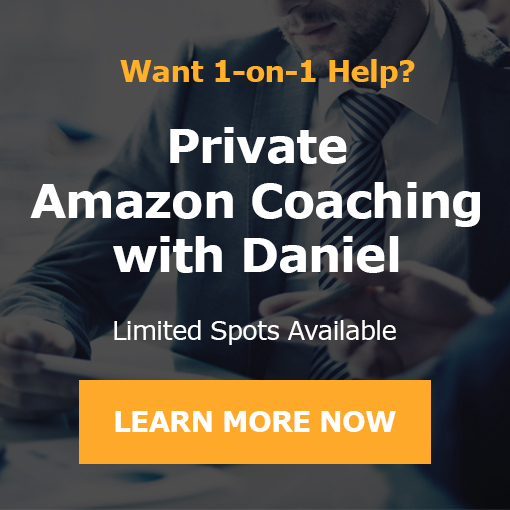 Most sellers on Amazon vastly overthink and overestimate what it really takes to be successful, so this advice may be the complete opposite of what you believe is true. But what I will . . .